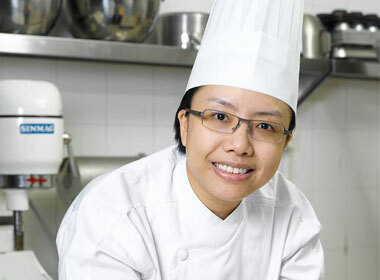 Congratulations to Chef Joanne Yeong, Le Cordon Bleu Sydney alumna (2005) who has been nominated for Pastry Chef of the Year (Regional) for the World Gourmet Summit Awards of Excellence 2015, Singapore. Joanne runs Cake Crisis Central in Malaysia with fellow Le Cordon Bleu Dusit alumna (2009), Alina Hew Seong Kuin . Cake Crisis Central has just been featured in “Nourish” Magazine talking about new product development! Each year the best and finest chefs and patissiers as well as vintners are celebrated at this international gastronomic extravaganza. Inaugurated in 1997 as part of Singapore Tourism Board’s initiative to establish Singapore as a culinary destination, the World Gourmet Summit has successfully grown into a globally recognised gastronomic event - World Gourmet Series. Encompassing a series of dazzling events such as the Wine & Restaurant Experience, Awards of Excellence and World Gourmet Summit, the World Gourmet Series has seen more than 140,000 guests attending over the 15 years. A constellation of stars of the culinary world descends on Singapore to whip up delicious, delightful, delectable and desirable cuisine for discerning individuals who appreciate fine cuisine, great wines and unique dining experiences. This year celebrated guests from around the globe include Spanish celebrity sommelier Josep Roca and his brother named ‘Girona’s Best Pastry Maker 2004’ Jordi Roca, Australian Peter Gunn from Attica in Sydney and world-renowned chef Susur Lee, known affectionately as the ‘ponytailed chef’ arguable one of the world’s most creative chefs, from Zentan in Washington. This year’s summit runs from 6th April to 31st May.